Penetration Testing Services | BlackHatWing, Inc.
Why Penetration Services? Security breaches and leaks have severe cost and repute implication on many companies in the past. Penetration testing is now essential for every business firm to protect the quality of their services. It will give a baseline to work upon to cure the risk in a structured and optimal way. A less vulnerable will be less prone to hack attacks, thus enhancing business continuity. Pen testing helps every business to protect not only its own assets but also safeguard the interest of its clients, partners and third parties. Penetration testing is the key to maintaining the quality of any IT product/Infrastructure. It allows businesses to creates an opportunity so as to evaluate current security posture and investment. Helps protect against loss of reputation build over many years which can be damaged by a single hack attack. BlackHatWing being partner with security Giants such as Gartner, Symantec, McAFee to name few provides full auditing of the applications devices and furthermore installation of mobile suites application as per customer environment need. We are vendor neutral and suggest the best possible solution for client as per there environment. We have extensive experience of Penetration testing for Education, Retail, Government, Media & Financial sector. As a penetration testing services firm we helped many of our Fortune 1000 clients to maintain security of their IT products with our Pen testing frameworks. BlackHatWing covers a broad spectrum of penetration services to enable their clients with clear visibility of the vulnerable and unsecure environments they operate their businesses. Corporate businesses are shifting towards cloud due to the benefits in form of reduced cost, software and hardware independence, task automation, increased flexibility and high availability. But along with these benefits, you simply cannot ignore the threats involved that impacts confidentiality, privacy, integrity, availability and compliance to regulations. The risks landscape is far bigger in Cloud as compared to the traditional IT infrastructures. Are you increasingly using Cloud services for your business operations? Is Cloud the backbone of your data and process management? Are you aware of the risks and threats involved in Cloud Computing? You can’t ignore the security of your asset on cloud. 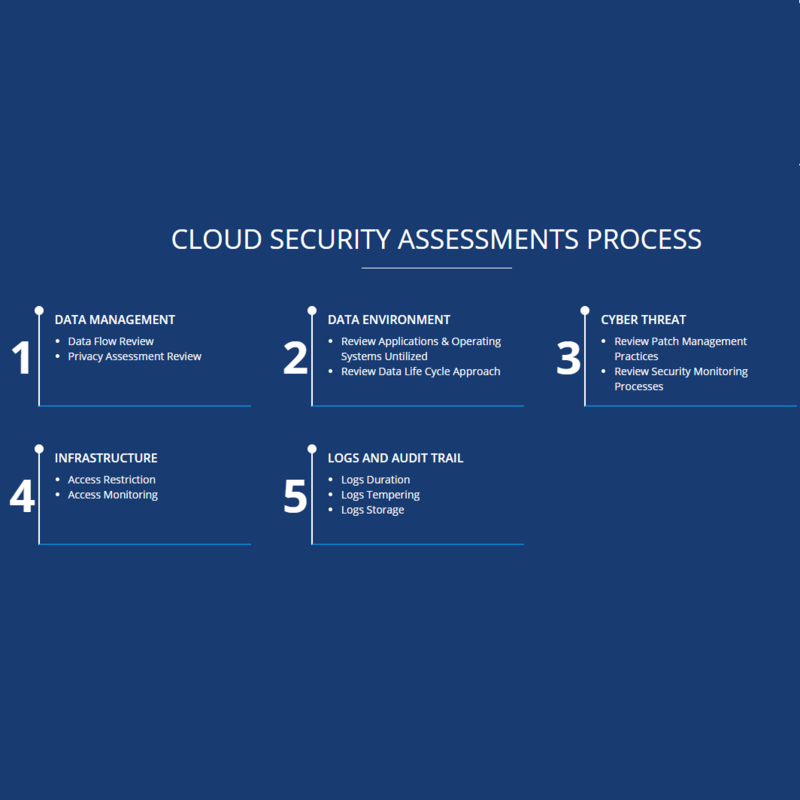 Cloud security assessment helps to analyze potential of any attacks associated to your data on cloud. Accessing data security is critical in cloud as all the data is stored in central repository. Ways of monitoring access to data stored in one place than figuring out all the places where the company data resides across a myriad of thick clients. Cloud based applications should follow the same application security practices as normal application security passes. In the absence of mature security standards for cloud, some important features which are currently in industry are followed, which include two factor authentication for administrative controls, annual ISO 27001 Audits and documented controls. We have extensive experience in Education, Retail, Government, Media & Financial sector. As a cloud security assessment services firm we helped many of our Fortune 1000 clients to protect their assets on cloud. BlackHatWing have worked with clients to establish their policies and procedures for Cloud usage as well as conducting security assessments and suggesting remediation tasks for their cloud based interactions. BlackHatWing performs security assements and ensure that your system is following NIST requirements (in accordance with special publications), CORBA, PCI DSS, ISO 27x certification requirements and HIPPA/HITECH Audit.